EDMONTON, AB - Holger Petersen, the amiable host of CBC Radio’s “Saturday Night Blues” in Canada for 30 years (which also airs on SiriusXM channel 169 in the U.S.), will be on-hand for a special SXSW book signing event on Friday, March 17 from 4:00-4:30 PM at the Austin Convention Centre. Petersen will be signing copies of his latest book of interviews published by Insomniac Press, Talking Music 2: Blues and Roots Music Mavericks. The signing will take place at the Barnes & Noble SXSW on-site book store and is open for SXSW registrants only. What: Talking Music 2: Blues and Roots Music Mavericks, a second collection of conversations with musicians, published by Insomniac Press. Who: Radio host and record company head Holger Petersen talks music and life with more than 25 musicians, singers, songwriters and guitar heroes. More: Available in bookstores and at Amazon; $19.95 in Canada and U.S., £9.95 in the UK. 466 pps, soft cover, illustrated. 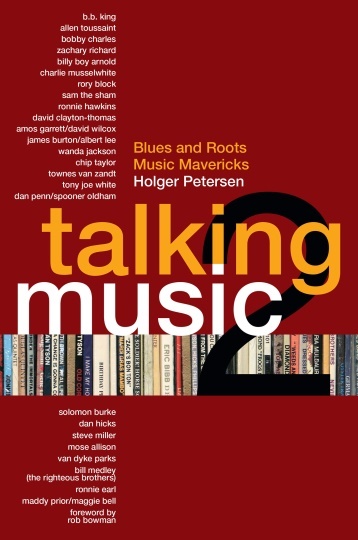 Talking Music 2: Blues and Roots Music Mavericks — includes 25 in-depth conversations with a variety of roots music artists who have made significant impacts on popular music, ranging from American artists B.B. King to Steve Miller, Wanda Jackson, Solomon Burke, Townes Van Zandt, Dan Hicks, Charlie Musselwhite, Ronnie Earl and Bill Medley of the Righteous Brothers. Canadian artists are certainly not ignored — larger-than-life personalities David Clayton-Thomas and Ronnie Hawkins describe the early days of Toronto’s pop music scene, and influential guitarists David Wilcox and Amos Garrett (together) offer insights from their lengthy careers. While Holger Petersen’s best known for his blues-based radio programs, he’s just as interested in artists who work in other roots music genres — Cajun musicians Zachary Richard and Bobby Charles, Allen Toussaint, Sam The Sham, Van Dyke Parks, Rory Block, Mose Allison, Billy Boy Arnold, UK singers Maggie Bell and Maddy Prior (together), guitarists James Burton and Albert Lee (together) and songwriters Chip Taylor, Dan Penn/Spooner Oldham (together) and Tony Joe White are among those whose interviews are included. 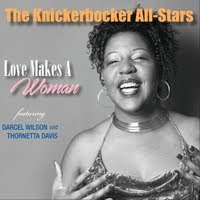 As Bowman explains, “Talking Music 2 is an important collection, as interviews with the majority of the artists included are not common and certainly do not get included in question- and-answer format interview anthologies such as this. 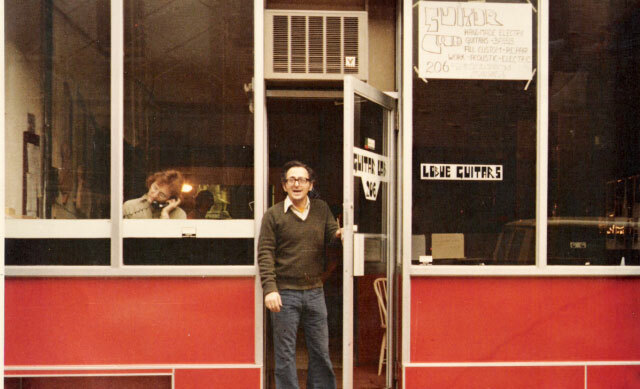 In addition to his ongoing 30-year run at CBC, Petersen has hosted “Natch’l Blues” on the Alberta radio network CKUA since 1969. He estimates that he’s done well over 3,000 interviews — and the conversations in Talking Music 2 were originally recorded for his radio programs, or at side-stages at folk festivals. Holger Petersen heads up Stony Plain Records, Canada’s longest running independent record label, which is celebrating over 40 years of continuous operation. He’s a member of the Order of Canada and the recipient of two honorary Doctor of Letters degrees for his contributions to music. 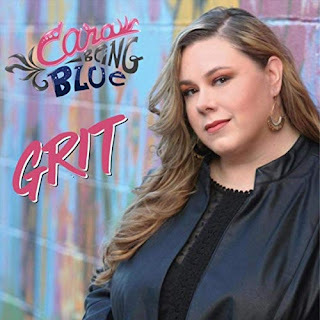 In addition, Petersen was a founder of the world-renowned Edmonton Folk Festival and recipient of the Keeping the Blues Alive Award from The Blues Foundation.